This Circus Monkey UD 3K Carbon Fiber Seatpost Clamp is a fine example of craftsmanship at work. Made from UD 3K carbon fiber by master craftsman makes it extremely light at only 11g yet super strong at the same time. 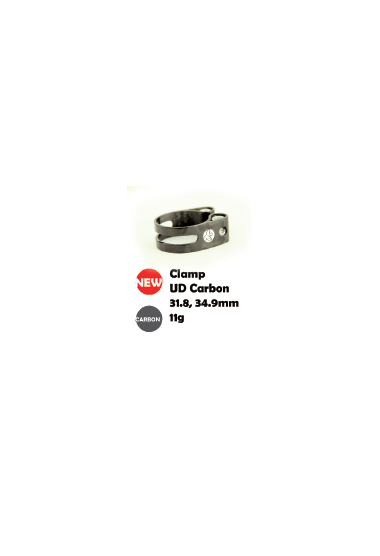 Available in two clamp diameter sizes either 31.8mm or 34.9mm.